Bold, eye-catching graphics on a Custom printed CBD chocolate candy products boxes can make all the difference in capturing the interest of the consumers as well as building a desired brand image. By investing in the design process is the best way to ensure your CBD chocolate candy products packaging will produce the sales as you desire. Business Image Printing team of Custom Packaging Designers can custom designed your products boxes to upper level of packaging and helping to drive the sales for max. We focus on creating innovative, functional packages that ensure safety, and ease of use. As well as providing answers for consumers, by demonstrating helpful graphics and messages. Our design also helps your customer focus on their purchase decision by supplying only the most important information on the front of the package. 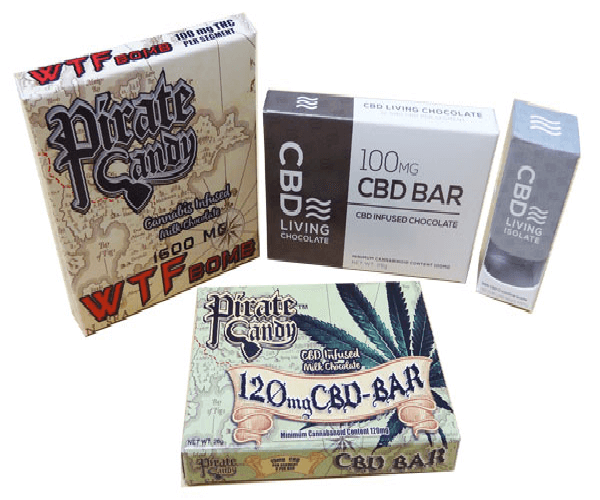 Additionally, these CBD chocolate candy boxes can be ink printed, hot foil stamped and the top can be printed and embossed, they’re a great way to draw positive attention to your merchandise, and distinguish your product from competitors. Business Image Printing is dedicated to offering flexibility in design, printing, and can be utilized with most packaging technologies to create compliant, cost-effective and fast turnarounds..